Planning a hiking or biking trip? 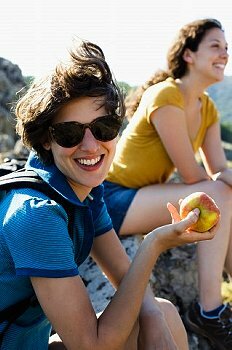 Pack an easy lunch with mozzarella cheese, fresh fruit, and whole grain crackers, or pretzels. 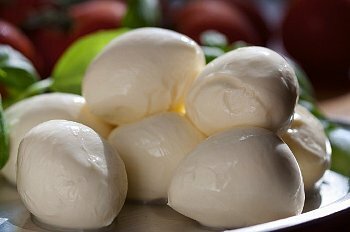 Mozzarella is an, easy-to-slice Italian curd cheese made from cow’s milk. If you’re concerned about fat, mozzarella is sold in low-fat and skim. The soft, bland and milky tasting cheese is complimented by apples, pears, grapes, peaches, nectarines, plums, and tangerines. To compliment mozzarella cheese, a quick bite to eat should include crisp breads such as whole grain crackers, or pretzels. Here are a few suggestions: WASA Sourdough, or Multigrain Crackers, Ritz Whole Wheat Crackers, Carr’s Rosemary Crackers, Saltine Crackers. Whole grain spelt, or whole wheat pretzels would serve as an alternative to crackers, and are very easy to pack. Newman’s Own, and Vita Spelt both manufacture organic spelt pretzels. Synder’s of Hanover sells Organic Honey Wheat Pretzel Sticks. Posted on June 8, 2013, in Food and tagged hiking snack, Mozzarella, quick lunch, spelt pretzels, whole grain crackers. Bookmark the permalink. Leave a comment.